Priota farelin Iftekhar, a Bangladeshi girl who believes that there is no force more powerful than willpower to rise. 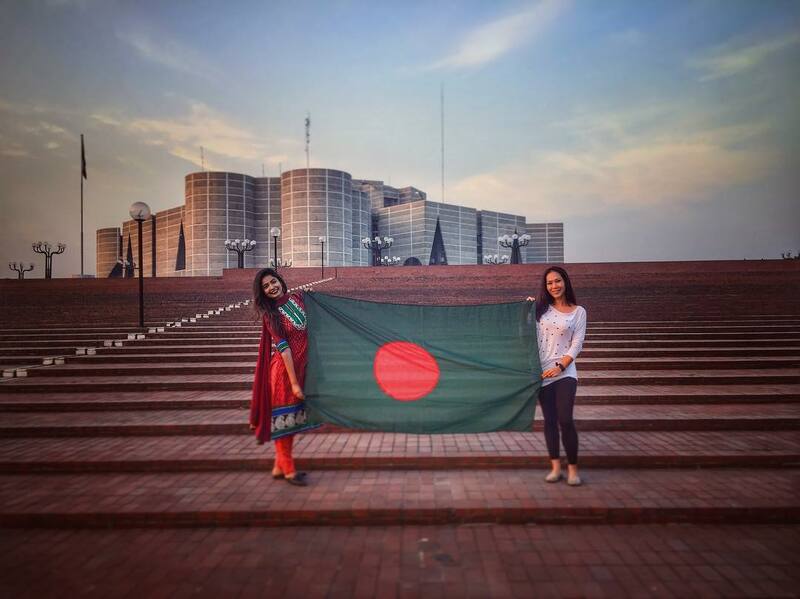 And she is going forward with this determination, raising a Bangladeshi flag to support Bangladeshi youth especially girls and women to make sure their rights to travel. Being constantly involved in cross-cultural and development activities through traveling around the world Priota has become an idol to many girls who wish to travel but cannot fulfill their wishes due to the typical societal barriers where people objectify women as week and dependent. Priota and her team travel sometimes in groups and help match travel-mates. She also says, “Young women are no longer depending on others to pay for their tour, they can fill up their own forms and find fully funded opportunities abroad through our social media group”. The Flag Girl also concentrates in branding Bangladesh via content creating. She aims to show Bangladeshi culture, cuisines, festivals, clothing, etc. to the world. Young Bangla network appreciates the contribution of Flag Girl to the women of Bangladesh. Her unique involvement in society has already been appreciated in many national and international platforms. In 2018, Flag Girl has received Joy Bangla Youth Award for her iconic idea of empowering the women of Bangladesh.